But there’s a new trend for business-trippers like you: ‘bleisure’. The concept is simple: tack a couple of extra days on the end of your business trip and turn your conference into a New York city break, or extend that strategy meeting into a once-in-a-lifetime Dubai holiday. What better time to take a couple of days of annual leave than when the company has flown you out to one of the world’s great cities? Increasingly, business travellers are finding that they don’t want to go all the way to Canada just to see little more than their hotel room and the inside of a conference centre, or catch a flight to Spain and spend all day in a stuffy exhibition hall. See business travel as a great opportunity – this is your chance to broaden your travel horizons. 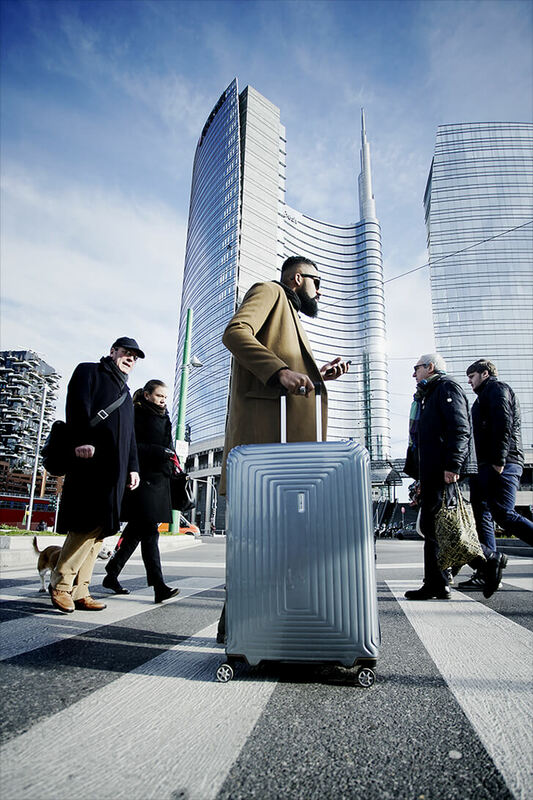 If you are going to jump aboard the bleisure trend, you need luggage that can transition between work and fun just as comfortably as you can. Travel prepared for anything with the City Drift Laptop Backpack. Separate laptop and tablet compartments are perfect for protecting your work hardware from the daily grind, while an integrated smart sleeve lets you slip the backpack over the handle of your wheeled luggage for on-the-go convenience. 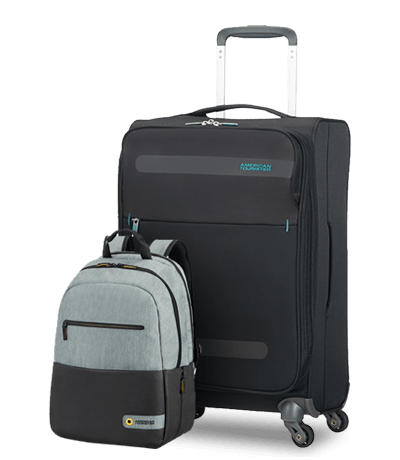 Ideal for city breakers, and the perfect accompaniment to American Tourister’s super lightweight 4-wheeled Herolite Spinner cabin sized suitcase – the ideal combo for a short but sweet Bleisure trip. Go from expo to exploring with the Paradiver Light Backpack. 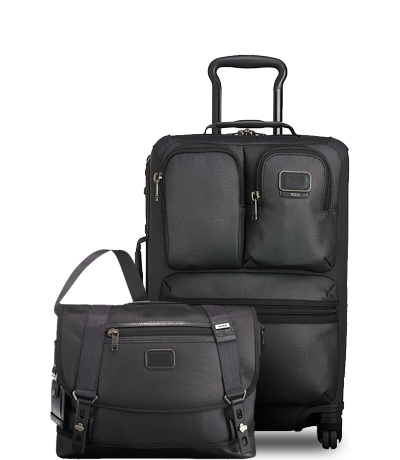 A smart yet sporty design make this cool, comfortable pack a perfect choice for both business and leisure travel. 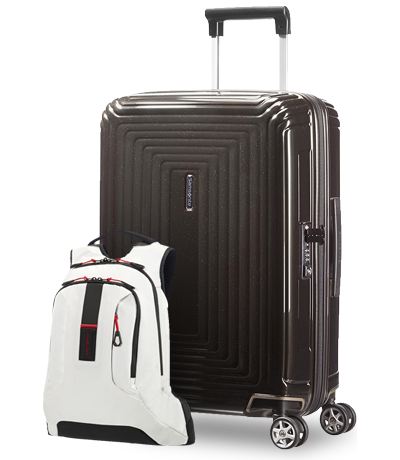 Pair with Samsonite’s Neopulse Spinner cabin case for a super stylish yet incredibly practical luggage combo! The messenger bag is an all-time commuter classic – whether you’re catching the tube to work or flying to the other side of the world. This durable, understated bag from Tumi comes with a comfortable shoulder strap and an easy-access main compartment to keep your workbook safely to hand. Ideal for a Bleisure trip, the super durable poly-mesh material has a sophisticated sheen suitable for boardroom meetings to hitting the pavements for an afternoon of exploring. Team with the matching cabin sized spinner suitcase for the perfect athleisure aesthetic. Reisen war noch nie so weltgewandt und angenehm. Entdecken Sie hinreißende Taschen und Accessoires, die perfekt zu Ihrem Reisestil passen. Ob Geschäftsreise oder privater Kulturtrip am Wochenende: Mit diesen Artikeln sind Sie immer bestens ausgerüstet. Sie haben höchste Erwartungen an Ihr Gepäck? Hier finden Sie Klassiker in höchster Qualität.